The Rebel Sweetheart. : Spotlight | oNecklace Infinity Jewelry Collection. 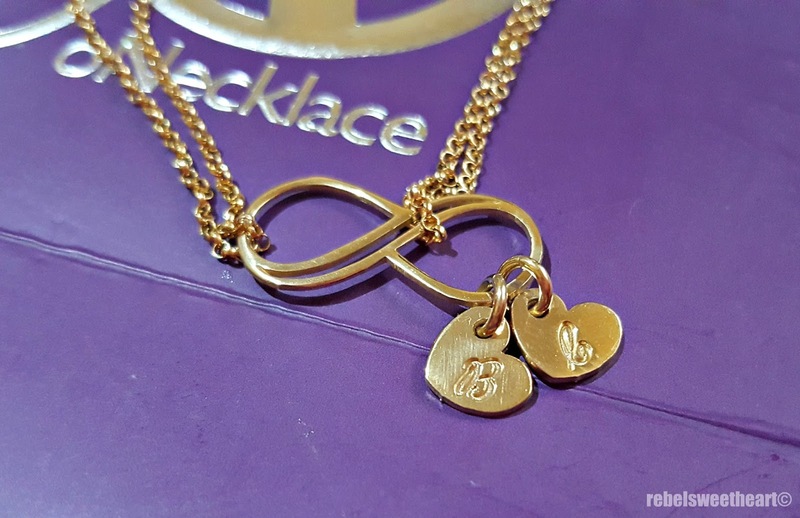 Spotlight | oNecklace Infinity Jewelry Collection. And what better way to commemorate this occasion than with new jewelry from one of my favorite jewelry brands, oNecklace? 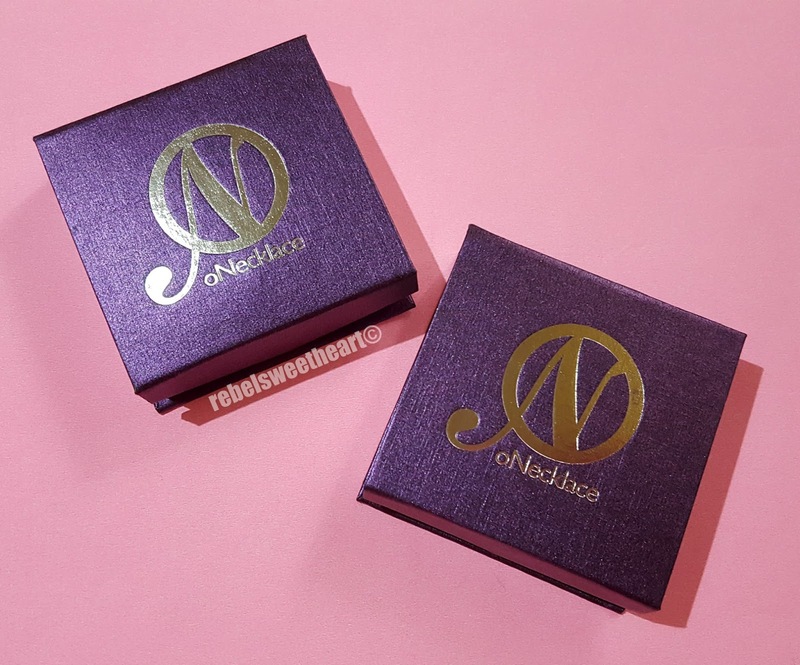 If you're a regular reader of this blog, then you're probably aware that I have worked with oNecklace in two previous campaigns - the first one was on Valentine's Day two years ago, while the second time was last October when they launched their Pink Ribbon Collection. Working with oNecklace has always been a joyous experience, and I am thrilled to be part of their new campaign. It's like the universe is conspiring to make our anniversary extra special and worth remembering. Haha! 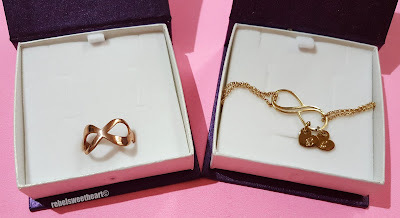 oNecklace recently introduced new items to their Infinity Jewelry Collection, and now I am a proud owner of these two lovely pieces - the Personalized Infinity Bracelet and the Classic Infinity Ring. New pieces from the Infinity Jewelry Collection. Nothing says forever better than this Personalized Infinity Bracelet, adorned with tiny heart charms engraved with your and your loved one's initials. The infinity symbol is suspended from a dainty yet durable rolo style chain, made with sterling silver, rose gold plated, or 24k gold plated similar to mine. 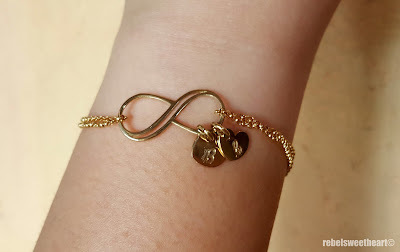 Personalized Infinity Bracelet when worn. Complementing this piece is the Classic Infinity Ring, a timeless, trendsetting ring that can be paired with any look. 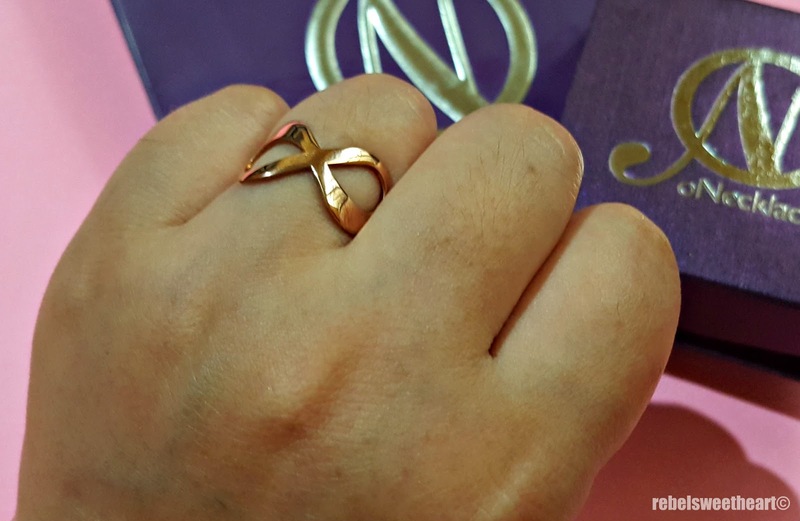 Like the bracelet, this ring is another meaningful way to represent eternal love, as it bears the iconic infinity symbol. Similarly, this ring can be crafted with the material of your choice - sterling silver, 24k gold plated, or rose gold plated similar to mine. 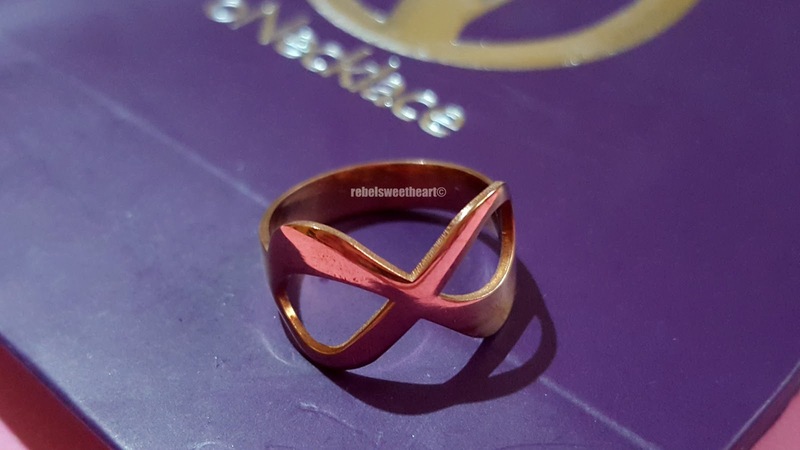 Classic Infinity Ring when worn. 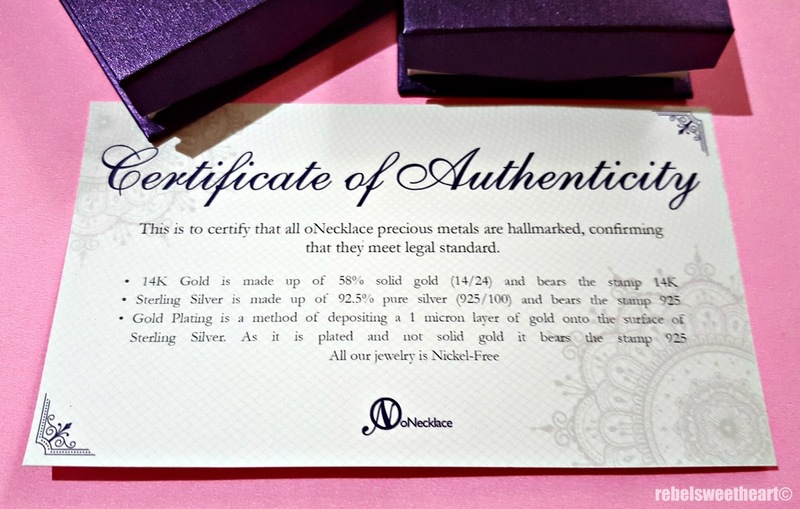 All oNecklace pieces come with a Certificate of Authenticity, a guarantee that the materials used are hallmarked and confirm with legal standards. I know there are a lot of June brides out there like me, so if you're celebrating your anniversary soon and would like to commemorate the occasion with a meaningful gift, I suggest you visit oNecklace and purchase a piece or two from their website. They ship orders within 24 hours, and offer free shipping to anywhere in the world! Thank you, oNecklace for these lovely gifts! 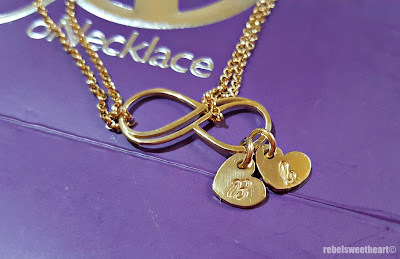 how cool, theses necklaces are all so pretty and the infinite sign is so nice, and the meaning behind it is awesome. this would be a great gift for myself. What a lovely gift to someone special in your life. I love that you can personalize it. You really can't go wrong with jewelry! All pretty. The bracelet is my favorite though. I love the dangling element and it's delicate and feminine while still making a bold statement.